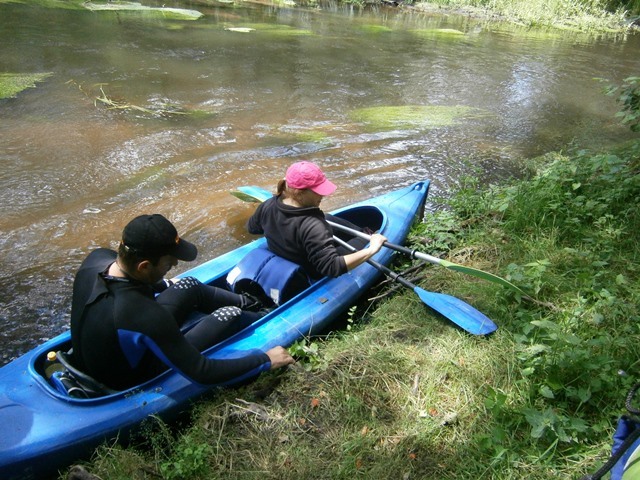 Rafting down the Oder can be compared to visiting a movie theater, where images move by, in peace and tranquility: the forest landscape turns into meadows, there are islets and sandy beaches. In some places, you might be surprised by the cliff forms of the waterfront. The Oder is very easy to raft. Only bad weather, including strong winds, can hinder it. Due to the good access to most parts of the river, you can begin and end anywhere. If you pick Kostrzyn as your start – or finish – line, you can see the following locations during one day: the most interesting fragments of the Oder banks (a 30-meter cliff) near Lossow, town panoramas from the river’s perspective – Frankfurt, Słubice and Lebus, islets near Górzyca and, last but not least, the walls of the Kostrzyn Fortress, which you can also explore by entering it through the Mill Gate (Furta Młyńska). Another interesting spot is the Porzecze Landscape Park, where you can see the picturesque dunes, tallest in the Oder valley. They stand almost 18 meters above the level of the Oder oxbow lakes.